GERMAIN, CHARLES, Jesuit, priest, and missionary; b. 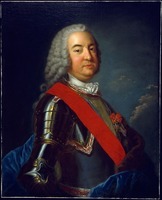 1 May 1707 in Luxembourg; d. 5 Aug. 1779 at Saint-François-du-Lac (Que.). Charles Germain entered the Jesuit order at Tournai (Belgium) on 14 Sept. 1728. Until 1739 he divided his time between study and teaching, going from Tournai to Lille and then to Douai. After his ordination he decided to serve in the missions of New France. He arrived there in the autumn of 1739 and the following year succeeded Jean-Pierre Daniélou* as missionary to the Malecites of the Saint John River (N.B. ), remaining with them until just before the treaty of Paris was signed. Germain’s name is, in fact, still associated with this mission. He distinguished himself there mainly by the central role he played as liaison between the government of New France and the Indians under his guidance. 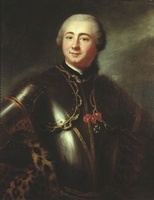 This role was complex: not only was he the correspondent of the authorities of New France (Hocquart, Beauharnois*, La Galissonière [Barrin*], and Vaudreuil [Rigaud] all praised his zeal), but he also acted as chaplain to the garrison at Fort Menagouèche (Saint John, N.B. ), advised upon the strength of the Indian forces in his region, and served as military chaplain in the field, go-between, and informer. 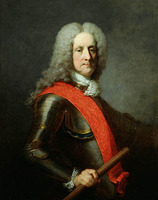 In these various capacities he was involved in the many events that marked the War of the Austrian Succession and the Seven Years’ War in Acadia. 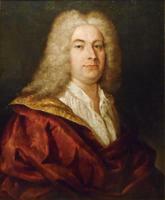 Not unnaturally, Germain’s name is almost always associated with that of Abbé Jean-Louis Le Loutre for the period 1744–55. Later, however, their paths differed. After the capture of Fort Beauséjour (near Sackville, N.B.) by Robert Monckton in 1755 and the deportation of the Acadians, Le Loutre, attempting to reach France, was captured by the British. 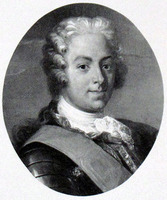 Germain remained in Acadia where he worked with Charles Deschamps de Boishébert in an attempt to consolidate the remnants of Acadian resistance. But his situation became increasingly difficult as the French position worsened. It is known that he went to Quebec with his Indians to participate in the 1759 campaign. In 1760 he was the only missionary in Acadia who still had faith in a French victory, but the following year, resigned to defeat, he offered the Nova Scotian government his help in pacifying the Indians. On 21 Sept. 1761 the British authorities granted him a pension, as they had Abbé Pierre Maillard*: he received £50 for his services. In the autumn of 1762, while he was visiting Quebec, Germain seems to have been detained by James Murray, probably because of continuing fears about his influence among the Indians. Although his flock was promised a successor, none was sent and they burned his church in protest. Germain pursued his career in the, new British colony, serving in the region of Trois-Rivières (specifically at Cap-de-la-Madeleine and Batiscan) from January 1763 to 1767. He left the area temporarily in 1763 when Ralph Burton* ordered the expulsion of the Jesuits in the Government of Trois-Rivières, but he returned in December, shortly after Burton had been replaced by Haldimand. His long experience with the Indians probably explains Germain’s appointment in 1767 to Saint-François-du-Lac, where he served both the parish and the mission. 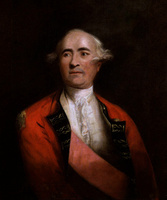 In 1779 he was indirectly connected with incidents of espionage in the south of his parish which marked the threat of American invasion and had involved the treason of Joseph-Louis Gill, but he managed to exonerate himself in Haldimand’s eyes. At his death on 5 Aug. 1779 Germain was one of the last Jesuits in North America. AN, Col., B, 91, f.352; 98, f.42 (copies at PAC). Archives de l’évêché de Nicolet (Nicolet, Qué. ), Cartable Odanak; Cartable Saint-François-du-Lac. ASJCF, 573, 675, 708, 779, 808–3; 4018, ff.372, 379, 393, 405, 417, 421, 485, 489, 492, 506, 509, 511, 517, 529, 532, 533, 534, 553, 559; 4021, f.18. BL, Add. mss 21777 (transcripts at PAC). Coll. de manuscrits relatifs à la N.-F., III, 210, 273, 277, 281, 287, 304, 326, 345, 359, 369, 403, 409, 516; IV, 27, 104. Les derniers jours de l’Acadie (Du Boscq de Beaumont), 86n, 91, 95, 96, 98, 131, 132, 167, 185, 282. Placide Gaudet, “Généalogie des familles acadiennes avec documents,” PAC Rapport, 1905, II, iiie partie, 236–58, 318–27, 369–71. JR (Thwaites), LXIX, 76, 290; LXX, 84; LXXI, 26, 172–73, 398. La Rue, “Lettres et mémoires,” ANQ Rapport, 1935–36, 317, 377, 389; 1936–37, 346–47, 357, 402, 406, 436; 1937–38, 187. N.S. Archives, I, 83, 309, 319–21, 362–76. H.-R. Casgrain, Une seconde Acadie: l’île Saint-Jean – île du Prince-Édouard sous le Régime français (Québec, 1894), 159, 223, 264. T.-M. Charland, Hist. des Abénakis, chaps.ix-x; Histoire de Saint-François-du-Lac (Ottawa, 1942), 152, 155–56, 203–5, 214. R. C. Dalton, The Jesuits’ estates question, 1760–1888: a study of the background for the agitation of 1889 (Toronto, 1968), 3–20. Antonio Dragon, L’Acadie et ses 40 robes noires (Montréal, 1973), 235–41. M. D. Johnson, Apôtres ou agitateurs: la France missionnaire en Acadie (Trois-Rivières, 1970), 11, 13, 112, 131, 138. Raymond, River St. John (1910), 175, 185, 189, 202, 210, 221, 235, 260–61. Rochemonteix, Les jésuites et la N.-F. au XVIIIe siècle, II, 99–103. M. Trudel, L’Église canadienne, I, 47, 93, 352, 353; II, 131, 136, 139, 155, 157–58, 166, 172, 211; Le Régime militaire, 7, 141–42, 153, 173. Micheline D. Johnson, “GERMAIN, CHARLES,” in Dictionary of Canadian Biography, vol. 4, University of Toronto/Université Laval, 2003–, accessed April 21, 2019, http://www.biographi.ca/en/bio/germain_charles_4E.html.